Lord, you were gracious to your land; you restored the fortunes of Jacob. You forgave the offence of your people and covered all their sins. You laid aside all your fury and turned from your wrathful indignation. Restore us again, O God our Saviour, and let your anger cease from us. Will you be displeased with us for ever? Will you stretch out your wrath from one generation to another? Will you not give us life again, that your people may rejoice in you? I will listen to what the Lord God will say, for he shall speak peace to his people and to the faithful, that they turn not again to folly. Truly, his salvation is near to those who fear him, that his glory may dwell in our land. Mercy and truth are met together, righteousness and peace have kissed each other; Truth shall spring up from the earth and righteousness look down from heaven. The Lord will indeed give all that is good, and our land will yield its increase. Righteousness shall go before him and direct his steps in the way. to make them sit with princes and inherit a seat of honour. You have been my helper; leave me not, neither forsake me, O God of my salvation. Though my father and my mother forsake me, the Lord will take me up. Teach me your way, O Lord; lead me on a level path, because of those who lie in wait for me. Deliver me not into the will of my adversaries, for false witnesses have risen up against me, and those who breathe out violence. I believe that I shall see the goodness of the Lord in the land of the living. Wait for the Lord; be strong and he shall comfort your heart; wait patiently for the Lord. As a military Chaplain I often find resonance with military values in the accounts written in the Bible and often in the words Jesus Himself speaks. Today is one of those days as, in the Gospel, we find Jesus encountered some people who had been sent to Him by a Centurion whose servant was sick. "I also am a man set under authority, with soldiers under me; and I say to one, “Go”, and he goes, and to another, “Come”, and he comes, and to my slave, “Do this”, and the slave does it." First, and foremost, the Centurion recognises the fact that Jesus is a 'man under authority' - He comes in the name of the LORD (who is the absolute God - YHWH) and secondly he realises that it only needs Jesus to issue the word and His command, like that of the Centurion in the world he occupied, carries power and authority. No wonder Jesus is amazed, for this Roman has recognised and submitted to the higher authority of the one in whose name jesus comes and in the the authority Jesus also has. No wonder Jesus notes that he hasn't seen faith like the Centurion's 'in Israel'. Here we have an example for us - from one who was 'far off' and yet by his actions and words was perhaps nearer than many of us we find an example and encouragement to recognise, and petition, the Lord - how we should respond and relate and live out our lives as followers of Jesus, the Christ. Paul reflects on his call which he notes was, "Neither by human commission nor from human authorities, but through Jesus Christ and God the Father, who raised him from the dead,' the calling we all have as believers. This is the calling and commission all who follow the Christ have - not a parchment scroll signed by a monarch giving a commission but the commission that gives us the 'Great Commission' to go into all the world and teaching those around us to keep God's laws and to turn from their wrong ways (being baptised) to live in the fulness and freedom of God's love. What encouraging words - what a wonderful promise - what a fantastic calling and commission we have. How can we top this, this morning? Well I have to point to Elijah (another of my heroes) as he encounters the followers of Baal and challenges them and their god to a contest. "If the Lord is God, follow him; but if Baal, then follow him,' he says. So Elijah sets up the stuff to carry out a bit of worship of the true God - this comes in the shape of some wood and a bull for the burnt offering (a thought: burnt offering = holocaust, which is why many of us prefer 'shoah' when it come to speaking of the Jews who were murdered in the Nazi camps). The followers of Baal shout and scream, the get in a right tizzy, but no fire. So, helpfully, Elijah calls on them to shout louder, "Perhaps your God is on the loo and can't hear you, " he tells them! And yet not a spark. So it's now Elijah's turn and, to make things a bit more even, he orders the wood to be drenched and then says to God, "All your!' And whoosh, the wood, the bull, the water, the stones, the dust - everything vanishes in a flash of fire. So today, when you look at those who follow the false gods of the age come before you - remember that we have a God who indeed does 'answer by fire'. So here we are called by the God who answers by fire - what more do we need to know to take us onwards into life? So Ahab sent to all the Israelites, and assembled the prophets at Mount Carmel. Elijah then came near to all the people, and said, ‘How long will you go limping with two different opinions? If the Lord is God, follow him; but if Baal, then follow him.’ The people did not answer him a word. Then Elijah said to the people, ‘I, even I only, am left a prophet of the Lord; but Baal’s prophets number four hundred and fifty. Let two bulls be given to us; let them choose one bull for themselves, cut it in pieces, and lay it on the wood, but put no fire to it; I will prepare the other bull and lay it on the wood, but put no fire to it. Then you call on the name of your god and I will call on the name of the Lord; the god who answers by fire is indeed God.’ All the people answered, ‘Well spoken!’ Then Elijah said to the prophets of Baal, ‘Choose for yourselves one bull and prepare it first, for you are many; then call on the name of your god, but put no fire to it.So they took the bull that was given them, prepared it, and called on the name of Baal from morning until noon, crying, ‘O Baal, answer us!’ But there was no voice, and no answer. They limped about the altar that they had made. 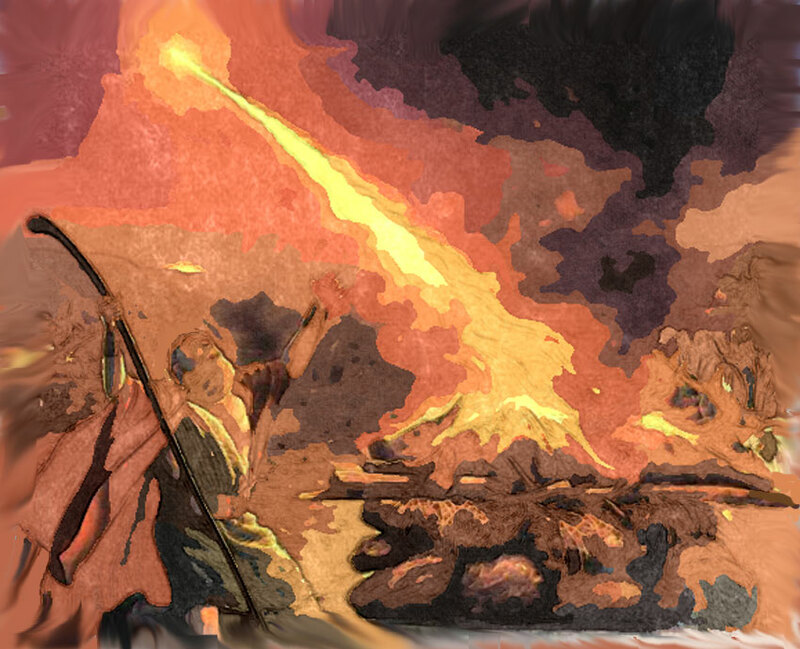 At noon Elijah mocked them, saying, ‘Cry aloud! Surely he is a god; either he is on the toilet, or he has wandered away, or he is on a journey, or perhaps he is asleep and must be awakened.’ Then they cried aloud and, as was their custom, they cut themselves with swords and lances until the blood gushed out over them. As midday passed, they raved on until the time of the offering of the oblation, but there was no voice, no answer, and no response. This is big and dramatic! Grace to you and peace from God our Father and the Lord Jesus Christ, who gave himself for our sins to set us free from the present evil age, according to the will of our God and Father, to whom be the glory for ever and ever. Amen. I am astonished that you are so quickly deserting the one who called you in the grace of Christ and are turning to a different gospel - not that there is another gospel, but there are some who are confusing you and want to pervert the gospel of Christ. But even if we or an angel from heaven should proclaim to you a gospel contrary to what we proclaimed to you, let that one be accursed! As we have said before, so now I repeat, if anyone proclaims to you a gospel contrary to what you received, let that one be accursed! A centurion there had a slave whom he valued highly, and who was ill and close to death. When he heard about Jesus, he sent some Jewish elders to him, asking him to come and heal his slave. When they came to Jesus, they appealed to him earnestly, saying, ‘He is worthy of having you do this for him, for he loves our people, and it is he who built our synagogue for us.’ And Jesus went with them, but when he was not far from the house, the centurion sent friends to say to him, ‘Lord, do not trouble yourself, for I am not worthy to have you come under my roof; therefore I did not presume to come to you. But only speak the word, and let my servant be healed. For I also am a man set under authority, with soldiers under me; and I say to one, “Go”, and he goes, and to another, “Come”, and he comes, and to my slave, “Do this”, and the slave does it.’ When Jesus heard this he was amazed at him, and turning to the crowd that followed him, he said, ‘I tell you, not even in Israel have I found such faith.’ When those who had been sent returned to the house, they found the slave in good health. May the Lord hear you in the day of trouble, the name of the God of Jacob defend you; Send you help from his sanctuary and strengthen you out of Zion; Remember all your offerings and accept your burnt sacrifice; Grant you your heart’s desire and fulfil all your mind. 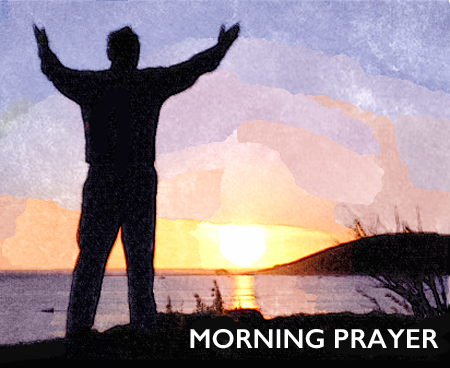 May we rejoice in your salvation and triumph in the name of our God; may the Lord perform all your petitions. Now I know that the Lord will save his anointed; he will answer him from his holy heaven, with the mighty strength of his right hand. Some put their trust in chariots and some in horses, but we will call only on the name of the Lord our God. They are brought down and fallen, but we are risen and stand upright. He asked of you life and you gave it him, length of days, for ever and ever. His honour is great because of your salvation; glory and majesty have you laid upon him. You have granted him everlasting felicity and will make him glad with joy in your presence. and the fire will consume them. Their fruit you will root out of the land and their seed from among its inhabitants. Because they intend evil against you and devise wicked schemes which they cannot perform, You will put them to flight when you aim your bow at their faces. in the presence of those who trouble me; you have anointed my head with oil and my cup shall be full. I call upon you, O God, for you will answer me; incline your ear to me, and listen to my words. Show me your marvellous loving-kindness, O Saviour of those who take refuge at your right hand from those who rise up against them. Keep me as the apple of your eye; hide me under the shadow of your wings, From the wicked who assault me, from my enemies who surround me to take away my life. They have closed their heart to pity and their mouth speaks proud things. They press me hard, they surround me on every side, watching how they may cast me to the ground, Like a lion that is greedy for its prey, like a young lion lurking in secret places. Arise, Lord; confront them and cast them down; deliver me from the wicked by your sword. Deliver me, O Lord, by your hand from those whose portion in life is unending, Whose bellies you fill with your treasure, who are well supplied with children and leave their wealth to their little ones. The law of the Lord is perfect, reviving the soul; the testimony of the Lord is sure and gives wisdom to the simple. The statutes of the Lord are right and rejoice the heart; the commandment of the Lord is pure and gives light to the eyes. The fear of the Lord is clean and endures for ever; the judgements of the Lord are true and righteous altogether. More to be desired are they than gold, nore than much fine gold, sweeter also than honey,dripping from the honeycomb. By them also is your servant taught and in keeping them there is great reward. Who can tell how often they offend? O cleanse me from my secret faults! But when the inhabitants of Gibeon heard what Joshua had done to Jericho and to Ai, they on their part acted with cunning: they went and prepared provisions, and took worn-out sacks for their donkeys, and wineskins, worn-out and torn and mended, with worn-out, patched sandals on their feet, and worn-out clothes; and all their provisions were dry and mouldy. They went to Joshua in the camp at Gilgal, and said to him and to the Israelites, ‘We have come from a far country; so now make a treaty with us.’ But the Israelites said to the Hivites, ‘Perhaps you live among us; then how can we make a treaty with you?’ They said to Joshua, ‘We are your servants.’ And Joshua said to them, ‘Who are you? And where do you come from?’ They said to him, ‘Your servants have come from a very far country, because of the name of the Lord your God; for we have heard a report of him, of all that he did in Egypt, and of all that he did to the two kings of the Amorites who were beyond the Jordan, King Sihon of Heshbon, and King Og of Bashan who lived in Ashtaroth. So our elders and all the inhabitants of our country said to us, “Take provisions in your hand for the journey; go to meet them, and say to them, ‘We are your servants; come now, make a treaty with us.’ ” Here is our bread; it was still warm when we took it from our houses as our food for the journey, on the day we set out to come to you, but now, see, it is dry and mouldy; these wineskins were new when we filled them, and see, they are burst; and these garments and sandals of ours are worn out from the very long journey.’ So the leaders partook of their provisions, and did not ask direction from the Lord. And Joshua made peace with them, guaranteeing their lives by a treaty; and the leaders of the congregation swore an oath to them. Joshua summoned them, and said to them, ‘Why did you deceive us, saying, “We are very far from you”, while in fact you are living among us? Now therefore you are cursed, and some of you shall always be slaves, hewers of wood and drawers of water for the house of my God.’ They answered Joshua, ‘Because it was told to your servants for a certainty that the Lord your God had commanded his servant Moses to give you all the land, and to destroy all the inhabitants of the land before you; so we were in great fear for our lives because of you, and did this thing. And now we are in your hand: do as it seems good and right in your sight to do to us.’ This is what he did for them: he saved them from the Israelites; and they did not kill them. When the crowds were increasing, he began to say, ‘This generation is an evil generation; it asks for a sign, but no sign will be given to it except the sign of Jonah. For just as Jonah became a sign to the people of Nineveh, so the Son of Man will be to this generation. The queen of the South will rise at the judgement with the people of this generation and condemn them, because she came from the ends of the earth to listen to the wisdom of Solomon, and see, something greater than Solomon is here! The people of Nineveh will rise up at the judgement with this generation and condemn it, because they repented at the proclamation of Jonah, and see, something greater than Jonah is here! Holy God, faithful and unchanging: enlarge our minds with the knowledge of your truth, and draw us more deeply into the mystery of your love, that we may truly worship you, Father, Son and Holy Spirit, Amen. one God, now and for ever. Remember the long way that the Lord your God has led you these forty years in the wilderness, in order to humble you, testing you to know what was in your heart, whether or not you would keep his commandments. He humbled you by letting you hunger, then by feeding you with manna, with which neither you nor your ancestors were acquainted, in order to make you understand that one does not live by bread alone, but by every word that comes from the mouth of the Lord. 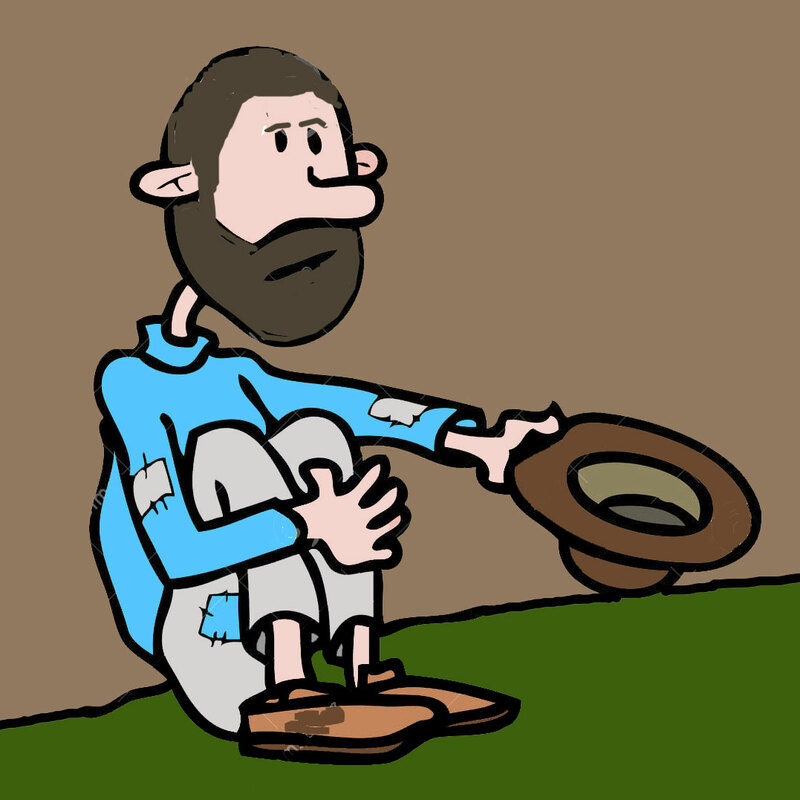 The clothes on your back did not wear out and your feet did not swell these forty years. Know then in your heart that as a parent disciplines a child so the Lord your God disciplines you. Therefore keep the commandments of the Lord your God, by walking in his ways and by fearing him. For the Lord your God is bringing you into a good land, a land with flowing streams, with springs and underground waters welling up in valleys and hills, a land of wheat and barley, of vines and fig trees and pomegranates, a land of olive trees and honey, a land where you may eat bread without scarcity, where you will lack nothing, a land whose stones are iron and from whose hills you may mine copper. You shall eat your fill and bless the Lord your God for the good land that he has given you. for you are alive and reign with the Father in the unity of the Holy Spirit, one God, now and for ever. Amen. The United Kingdom and the EU - Going it alone and trading with others! A real challenge for me has come in the shape of those who reckon that life as an independent nation would be one of the greatest boons those of us left on these shores might have. "If we leave the EU then we can choose who we trade with. " people tell me - not only that but they are convinced that should we leave the EU then Commonwealth nations, America and loads of other nations (including EU members would be falling over themselves to buy from us. But is this an accurate position to occupy? If we were to leave the EU then the UK would merely need to negotiate trade agreements with nations (and even EU member states) to trade with them in a mutually beneficial way - and, as under Article 50 of the Lisbon Treaty, we would have two years to negotiate a new agreement on trade, we would be able to continue exactly as we were when we were in Europe with regard to EU member states - so we would lose nothing and gain our own sovereignty. We cannot lose. And of course the Commonwealth, America and other nations outside of the EU would be keen to arrange trade agreements with us so we'd have the best of it everywhere. We'd be like Norway and they are doing alright out of it! "Wait a minute," says the 'stay' side of the argument, "What makes you think the US or the Commonwealth will be that keen to make trade deals. Obama said that that wouldn't happen anytime soon!" And you know what, they are right. In fact, it seems Article 50 comes into effect when we sign on the line to leave (not when we think we need it to come into effect) and so, from signing to agreements, we have but 24 months of continuing as we were (and if that's good for us, why are we leaving?) and then we would need a new agreement in place - which surely wouldn't be as beneficial as being a member nation - it it was, where's the benefit in joining anyway? Should no agreement be made then we would be subject to the agreed World Trade Organisation's (WTO) tariffs and this would mean that we would be facing an additional bill somewhere around 2% of our Gross Domestic Product (GDP) which in real terms means something around £7.5 billion - which suddenly makes leaving rather unattractive - in fact it means that what we have saved will be spent just compensating for the exit. And then we might just find that new regulations and 'Buy European' campaigns, benefits for EU member states, discounts and other 'anti-UK' trade measures might see us well and truly becoming the poor man in the area. Still, on the bright side, rather than see economic migrants coming to our shores, we'd probably be exporting them! Seems to me that the potential of leaving so we can stop sending money to Europe so we can compensate out manufacturing and exporting folk (so where's the money for the NHS coming from if we've already committed it in this area?) is foolish. Once we are out the EU can create new legislation and impose demands upon us that we will have no say in - and will potentially leave us hamstrung. I'm beginning to think that I'd rather be an effective member of the EU than a new 'third world nation' just off the coast of the world looking to live off of handouts and calling in old relationships (which might confirm that the days of Empire don't have the legacy we think they have)! The conversations under this heading were quite passionate and often vitriolic. Sadly, if I am honest, almost every one of them made reference to those from Eastern Europe in a way that took me back to my childhood in North London - except then the target for the vitriol was 'the blacks'! Funny how short a distance our nation has come over the past fifty years. EU migrants to the UK are taking £££££ in terms of benefits and they are being housed ahead of births nationals. They're taking our jobs and pushing up the house pricesThey come to get free NHS and take jobs from the native population of this island. Leaving the EU would save us spending almost a billion pounds (the Daily Mail actually reported it to be £886,000,000 at the end of February 2016) - and this, "Staggering welfare bill ... meant unemployed EU migrants received £886 million in Housing Benefit, Jobseeker’s Allowance and sickness pay in 2013-14. A fresh influx of Romanian and Bulgarian migrants means the figures are now likely to be even higher. Philip Davies, a Conservative MP said: ‘It’s amazing we’ve got some figures at last, but one has to question how reliable they are. They certainly won’t be underestimates. It’s quite clear that immigration has gone up recently so the figures must be well over a billion pounds now, even by the Government’s own estimates." The Mail went on to add: "The 43-page dossier, 'The Best Of Both Worlds' claims that about four in ten recent arrivals from the EU are in households that get benefits. It says EU migrants received £2.5 billion of benefits for workers on low incomes, made up of Housing Benefit and Working Tax Credits, ten per cent of the total UK bill." Worse still, EU migrants with children in their home countries claim a further £27,000,000 (34,000 claims for UK child benefit for children residing in EU states. Those EU immigrants to the Uk are actually a blessing rather than a curse - the reason for this position being taken is that, generally speaking, they're young and working and that means they pay more into our economy in terms of spending and taxation than they will ever take from it. You see the reality, contrary to popular belief, is that British citizens are more like to claim, and depend on, benefits than any of the EU immigrants. An interesting reality is that the baby-boomers are ageing fast and it is to the immigrant population that we are increasingly looking to fill the gap they are leaving - and it's not just low-skilled manual labour jobs they're doing, there are a number of professionally qualified folk joining us, and that makes them extremely valuable to this country at home and in exports too. As for clawing back the 1 billion we give to EU migrants (and their kids) and using it to spend on the NHS such that it is 'transformed' - the only answer I can give is to point to the planned expenditure for 2015/16 (£116.574billion) and ask the question about the difference reducing the bill by 0.86% of the overall spend would really do. This is not the transformational influence those supporting 'Leave EU' are portraying it as, is it? It is a bit of a shock (well I was shocked) to find that the HMRC (the Taxman) defines migrant non-UK families as as family, “where at least one adult is a migrant when issued with a national insurance number”. So any couple where one partner is a British national and the other from the EU becomes part of the 'EU Scrounger' statistics' ! Suddenly the arguments against the EU seem a little less complex - perhaps we need to ban Brits from marrying foreign types as it is not only weakening the pedigree British strain (apologies for Dutch descent on my part) and confuses the benefits picture! Blessed are those whose way is pure, who walk in the law of the Lord. Blessed are those who keep his testimonies and seek him with their whole heart, Those who do no wickedness, but walk in his ways. You, O Lord, have charged that we should diligently keep your commandments. O that my ways were made so direct that I might keep your statutes. Then should I not be put to shame, because I have regard for all your commandments. I will thank you with an unfeigned heart, when I have learned your righteous judgements. I will keep your statutes; O forsake me not utterly. With my whole heart have I sought you; O let me not go astray from your commandments. Your words have I hidden within my heart, that I should not sin against you. Blessed are you, O Lord; O teach me your statutes. O do good to your servant that I may live, and so shall I keep your word. Open my eyes, that I may see the wonders of your law. I am a stranger upon earth; hide not your commandments from me. My soul is consumed at all times with fervent longing for your judgements. You have rebuked the arrogant; cursed are those who stray from your commandments. Turn from me shame and rebuke, for I have kept your testimonies. Rulers also sit and speak against me, but your servant meditates on your statutes. For your testimonies are my delight; they are my faithful counsellors. My soul cleaves to the dust; O give me life according to your word. I have acknowledged my ways and you have answered me; O teach me your statutes. Make me understand the way of your commandments, and so shall I meditate on your wondrous works. My soul melts away in tears of sorrow; raise me up according to your word. Take from me the way of falsehood; be gracious to me through your law. I have chosen the way of truth and your judgements have I laid before me. I hold fast to your testimonies; O Lord, let me not be put to shame. I will run the way of your commandments, when you have set my heart at liberty. So Joshua and all the fighting men set out to go up against Ai. Joshua chose thirty thousand warriors and sent them out by night with the command, ‘You shall lie in ambush against the city, behind it; do not go very far from the city, but all of you stay alert. I and all the people who are with me will approach the city. When they come out against us, as before, we shall flee from them. They will come out after us until we have drawn them away from the city; for they will say, “They are fleeing from us, as before.” While we flee from them, you shall rise up from the ambush and seize the city; for the Lord your God will give it into your hand. And when you have taken the city, you shall set the city on fire, doing as the Lord has ordered; see, I have commanded you.’ So Joshua sent them out; and they went to the place of ambush, and lay between Bethel and Ai, to the west of Ai; but Joshua spent that night in the camp. But as for me, through the greatness of your mercy, I will come into your house; I will bow down towards your holy temple in awe of you. Lead me, Lord, in your righteousness, because of my enemies; make your way straight before my face. For there is no truth in their mouth, in their heart is destruction, their throat is an open sepulchre, and they flatter with their tongue. Turn again, O Lord, and deliver my soul; save me for your loving mercy’s sake. For in death no one remembers you; and who can give you thanks in the grave? I am weary with my groaning; every night I drench my pillow and flood my bed with my tears. My eyes are wasted with grief and worn away because of all my enemies. Your majesty above the heavens is praised out of the mouths of babes at the breast. You have founded a stronghold against your foes, that you might still the enemy and the avenger. When I consider your heavens, the work of your fingers, the moon and the stars that you have ordained, What is man, that you should be mindful of him; the son of man, that you should seek him out? You have given him dominion over the works of your hands and put all things under his feet, All sheep and oxen, even the wild beasts of the field, The birds of the air, the fish of the sea and whatsoever moves in the paths of the sea. The next stop on the debate is the claim that by leaving the EU we would be free to govern ourselves and would no longer be shackled by the European Court of Justice (ECJ), European Court of Human Rights (ECHR) or any of the laws the EU come up with. One of the more popular areas of conversation I have had relates to the 'fact' that leaving the EU will set British citizens free from EU laws and will guarantee our sovereignty and national identity. Leaving will enable us to break free from the shackles with which the EU binds us. The European Union has no military might and none of the member states are occupied by force, or consent - it is not federal (even though that Naughty Ted Heath had that in mind when he duplicitously took the UK in to it!) and has no overarching government either - just a talking shop! There are both the European Commission and the European Council, but the UK plays a major part in the debate and deliberations of both. So what is the root of this desire to break free from the chains of unwanted legislation? Could it be Boris Johnson's bent banana and square strawberries (not a metaphor for his naughty bits) and the claim that peanuts must have "contains nuts' labels (mind you, might be useful on the door of the House of Commons) have helped people to think that we are wasting millions on silly legislation? Perhaps it's the fact that (as me dear old Dad used to say) the EU makes the UK comply with laws whilst the rest (with Dad it was always Italy) just ignore them, subsidise their companies and act in a generally dodgy manner. Generally this 'freedom' is about sovereignty and parliamentary powers - we are not the masters of our own nation - which is the reason Henry VIII booted Rome out and created the CofE - so why should there be any doubt that this is a right move? Why should we let Johnny Foreigner meddle with us and our laws? After all, the European commission creates all sorts of directives, demands and laws; all of which we have to implement. If we were free then we would be the masters of our own destiny - Rule Britannia and all that stuff. The same goes for all that civil rights tosh - the stuff that stops us acting as we see fit rather than toe the line because a load of liberal, tree-hugging types say so (a quote from a conversation with a 'Better Out' person). If we want to send a terrorist to the US then we should be able to - anything else is against our security and sovereignty. Yes indeed - we are better off out because then, "We will be free to act however we want with no one to tell us what to do!" (another quote). "We will be free to act however we want with no one to tell us what to do!" I hate to say it but it sounds like something a child might say when baulking against parental influence - but then again, if we could have divorced ourselves from our parent, wouldn't that have made our life great? We could have done whatever we wanted with no interference or comment - sounds like hell rather than heaven to me!!! first and foremost with regard to EU directives and laws, these have to be to be approved by the council, and voted on in the EU parliament and Britain plays a major part in this - it has a voice that is heard and (generally) respected . If we were to leave and yet still seek to do trade with the EU (our biggest market) then we would need to comply with EU laws and regulations. But being outside we would merely receive them rather than shape or influence them - so what we have is no less a submitting to EU legal things, merely a removing of any power to influence them. 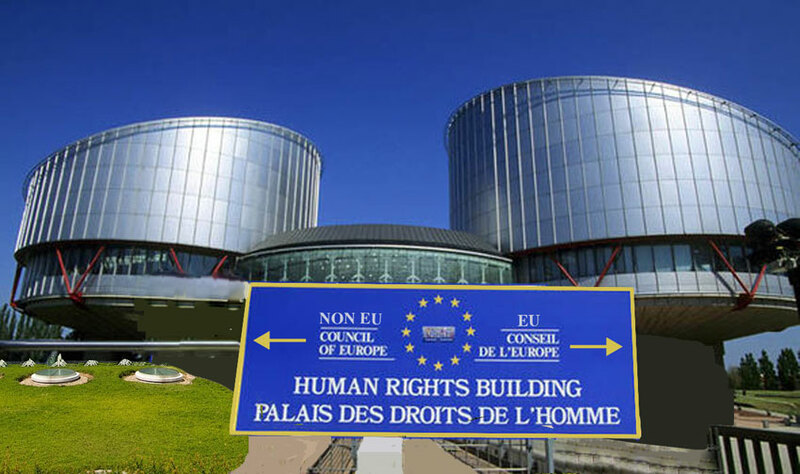 With regards to human rights - we were one of the founders of the European Court of Human Rights (ECHR) and even were we to leave the EU, we would still be bound by its ruling. As to being freer, who in their right mind would want to see anything that protects their human rights limited? Surely a no-brainer of a question! Bottom line is that to leave does not take away the warrant of law or the decision handed down by European Courts of Justice or Human Rights, it merely takes away any potential for our nation shaping them. Seems to me to be a negative rather than anything positive in this area of consideration. You'll still be subject to decisions made here! nor sat in the assembly of the scornful. Their delight is in the law of the Lord and they meditate on his law day and night. Like a tree planted by streams of water bearing fruit in due season, with leaves that do not wither, whatever they do, it shall prosper. Those who want us to leave the EU are telling us that to leave the EU would be to make our nation a safer place. Quoting figures from the European Union’s law enforcement agency (Europe) those favouring exit claim that Britain is more at risk from terrorist attacks if it continues as a member of the European Union. The reason for this centres largely on the freedom of movement that the EU apparently forces upon the UK - by admitting 'everyone' we apparently 'import risk' into our nation. To support this position they claim that there are 'up to' 5,000 people in Europe who have attended training camps run by Islamic State and these people, already being in Europe, are free to travel from nation to nation without any border checks. They look to the Paris attacks to support this claim and point to photographs of one of those engaged in the awful happenings there which show they visited the UK. If we left the EU and made our borders secure then, they reason, it would be impossible for terrorists to enter the country and that would make us safe from terrorism. Add to this the claim that leaving would free us from European law - and the setting us free from the European Court of Justice (ECJ)(remember them, the ECJ have stopped us deporting people to the US and other places because of perceived breaches of human rights) would mean that we could deport whosoever we wanted and govern ourselves make it increasingly difficult to deal effectively with that risk, in order to protect the public”. Obvious then, isn't it? The EU would be foolish not to want to keep us onside once we've left! 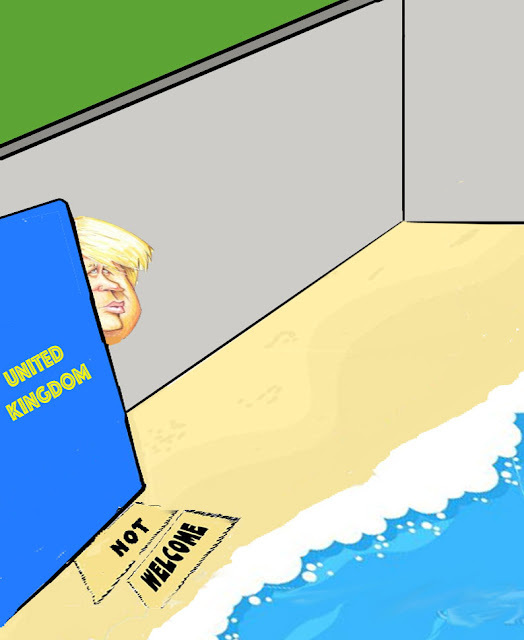 Fist and foremost what we need to remember is that the UK is outside Europe’s passport-free Schengen area, which means that we have border controls and checks, and this means that those perceived to be a threat to our country can be refused entry. Those of you who have travelled to and from Europe will recall seeing British Police and Home Office types checking passports at ports (and probably complaining about the delay that causes). So immediately we have an apparent problem in that those supporting the 'leave' position appear to not be telling it as it really is as we already have in place what they claim would only be ours if we were to exit the EU - Isn't that a little naughty I have task myself? They weren't 'foreigners' unless you consider their roots - in which case I'm Dutch and ready to be deported! In fact, dare I say it, the xenophobic, racist, anti-immigrant stance in nations like Belgium alienates and creates the backlash that is terrorism. Perhaps we need to stop the marches and popular wholesale responses against 'immigrant' so that they aren't isolated and alienated. Perhaps we need some education of our nationals to create a society which is more balanced rather than build a wall around our little island! 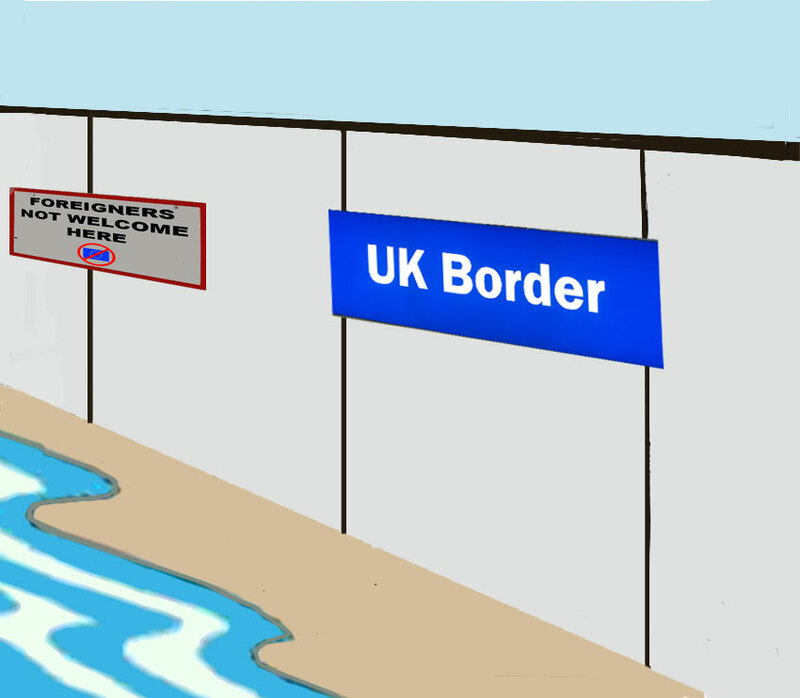 Living on the edge of one of the largest places where potential for marginalised people are to be found, it is likely that those who might act against our nation and those on its shores will have British passports! The Charlie Hebdo attacks were done by Said and Cherif Kouachi - French citizens, as was Mohamed Merah, who in 2012 killed seven people in Toulouse. So which camp do you fancy having read this? It seems to me that I, as someone called pastor and uphold truth, have a duty to get involved with the issue of the EU and our nation's continued membership - something I have struggled to avoid if I am being honest. The reason for this decision is based upon the number of engagements and the high degree of xenophobic, jingoistic and irrational attitudes contained in them; fortunately none of them have been from to date, so here's the beginning of a few blog entries to remedy that. 12. We could still drive on the left. 11. 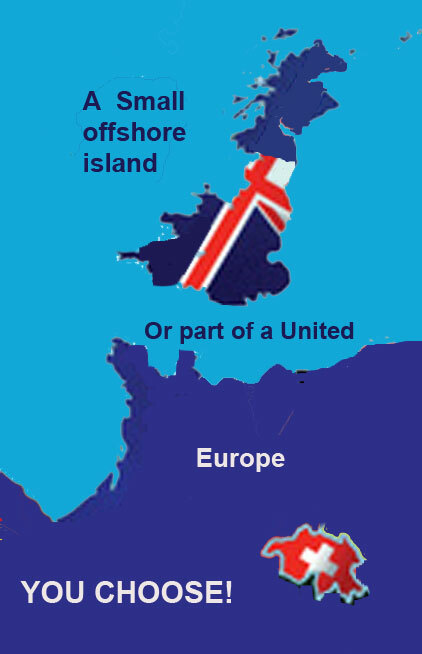 Two choices: small offshore island or major world influence - staying supports the latter. likewise should they wish to work in Europe. So there we have it - so much misinformation out there, so many people playing on what is nothing less than the racist and xenophobic tendencies of many and few asking the 'What Would Jesus Have Us Do?' Question. Watch this space - be prepared to bring positions, information and facts and balance. I cry aloud to the Lord; to the Lord I make my supplication. I pour out my complaint before him and tell him of my trouble. When my spirit faints within me, you know my path; in the way wherein I walk have they laid a snare for me. I look to my right hand, and find no one who knows me; I have no place to flee to, and no one cares for my soul. I cry out to you, O Lord, and say: ‘You are my refuge, my portion in the land of the living. O Lord, what are mortals that you should consider them; mere human beings, that you should take thought for them? They are like a breath of wind; their days pass away like a shadow. Bow your heavens, O Lord, and come down; touch the mountains and they shall smoke. Cast down your lightnings and scatter them; shoot out your arrows and let thunder roar. Reach down your hand from on high; deliver me and take me out of the great waters, from the hand of foreign enemies, Whose mouth speaks wickedness and their right hand is the hand of falsehood. Happy are the people whose blessing this is. Happy are the people who have the Lord for their God. ‘Woe to you, Chorazin! Woe to you, Bethsaida! For if the deeds of power done in you had been done in Tyre and Sidon, they would have repented long ago, sitting in sackcloth and ashes. But at the judgement it will be more tolerable for Tyre and Sidon than for you. And you, Capernaum, will you be exalted to heaven? No, you will be brought down to Hades. God of wisdom, eternal light, who shone in the heart of your servant Alcuin, revealing to him your power and pity: scatter the darkness of our ignorance that, with all our heart and mind and strength, we may seek your face and be brought with all your saints to your holy presence; through Jesus Christ your Son our Lord, who is alive and reigns with you, in the unity of the Holy Spirit, one God, now and for ever. Amen.